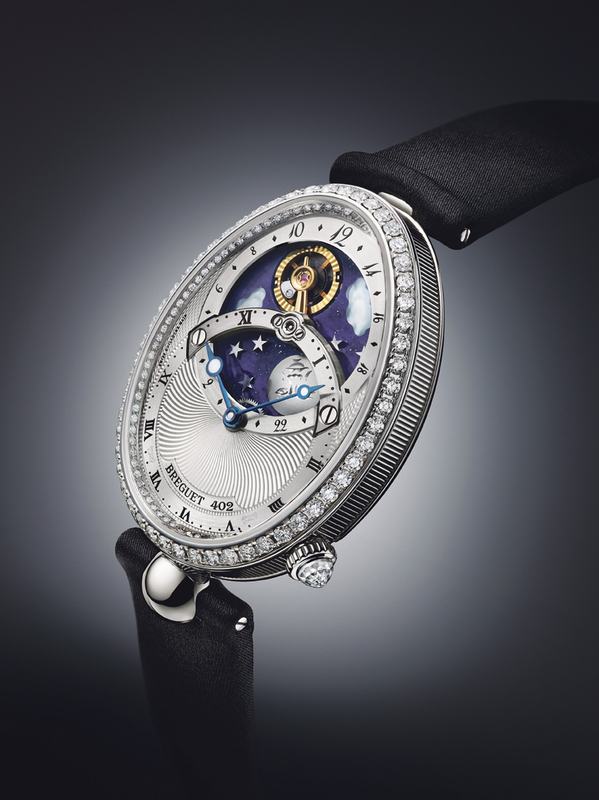 The Breguet Reine De Naples is a beautiful diamond studded ladies mechanical wristwatch that features two dials. The day and night are marked on the upper dial with the Breguet balance-wheel representing the sun, and the moon engraved on a titanium disc, rotating together in 24 hours. Hours and minutes are on the lower dial. It also has 143 diamonds and a power reserve of 57 hours.